This ADA compliant sign features a brown material with white tactile lettering/symbols and braille, is sized 6" x 9" sign and has rounded corners. Replace a missing sign or upgrade existing, non-compliant signs. 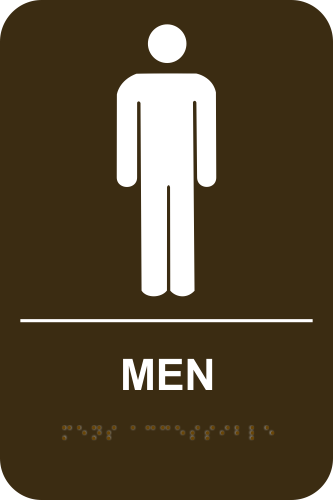 A great way to show visitors where the Men's restroom is located and so easy to hang!